Ayia Napa Marina situated on the southeastern coast of Cyprus, offers luxurious residences, world-class yachting facilities, a variety of retail boutiques, waterfront fine dining options, recreational and nightlife experiences. Its unique location, crystal clear seas, stunning beaches and incredible views combine to entice boaters, visitors and residents who appreciate a lifestyle of class and elegance. With complete privacy and round-the-clock security for homes and yachts, Ayia Napa Marina is the ideal yachting, social and residential destination, offering everything one needs to relax and enjoy the exciting lifestyle of the Mediterranean. There are two fabulous restaurants in the Marina. The first being the award winning Sailor’s Rest Lounge Bar Restaurant, re-launched recently from a casual dining yacht club to a now exclusive, restaurant extremely popular with both locals and visitors alike. As well as delicious meals, The Sailor’s Rest is also the ideal venue for a relaxing coffee, wine or bubbly at any time of the day. There is also the Seashells Beach Tavern, a casual, beachside restaurant that is the perfect place to try local cuisine and relax by the sea. Seashells is well known for its cocktails, relaxed atmosphere and friendly local service. Limassol Marina is an exclusive waterfront development combining elegant residences and a full service marina, with its own shopping, dining, spa and fitness, cultural centre and public parking right in the heart of Limassol. Situated at the opposite end of the 14km stretch of the Limassol coastline from St Raphael is the Limassol Marina, new, bustling and vibrant. 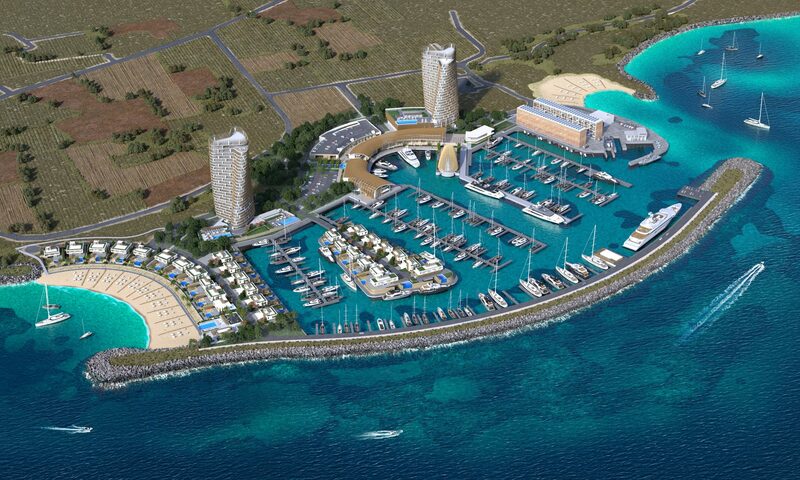 The marina was opened for business in June 2014 by the President of Cyprus. This superyacht marina project is considered to be one of the most important and luxurious marinas in the wider Mediterranean region and the Middle East. Designed by French architect Xavier Bohl it has been described and the ‘Monte Carlo of Cyprus’ and is comparable to the Marina Grande in Capri and the Dubai Marina. Indeed it was and was based on the Marina of Monte Carlo in Monaco and Port Grimaud in St Tropez. 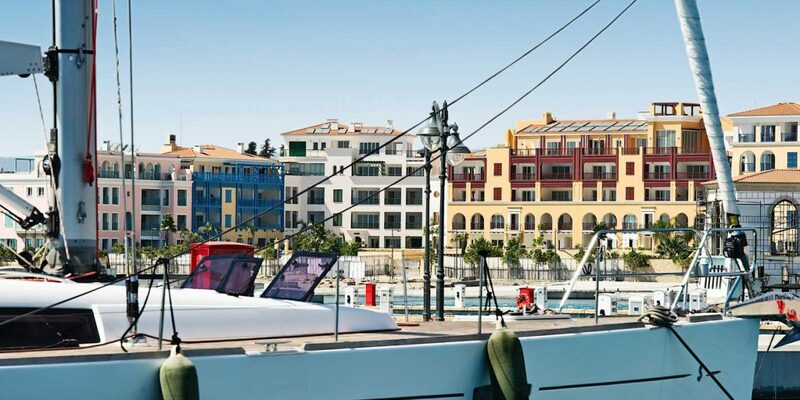 Managed by Camper and Nicholsons, the Marina has a berthing capacity of 650 for vessels ranging from 8 to 115 meters in length and offers full concierge services and 24 hour security. Latchi Marina is located on the northern coast close to the protected and picturesque Akamas National Park. Much smaller than its Limassol cousins, the Latchi area has always been particularly famous for its clean sandy beach, lovely clear water and fresh fish restaurants. The building of the new marina has meant that more recently Latchi has become better known for water activities of all shapes and sizes, it has been propelled from the small harbor town it was, into a vibrant and bustling marina and is attracting sailors and their boats from around the world. Due to the fabulous coastline is this area, businesses have sprung up, offering first class facilities for experienced and amateur sailors alike, there is ample scope for boat hire and scuba diving in this area with courses and supervision offered by qualified staff when needed. Larnaca Marina is located at the eastern end of Larnaca city and plans are in place starting in 2017 to construct a brand new area, large enough to house 500-900 vessels and open up the marina to world class ocean cruise ships with an iconic passenger terminal and off-shore jetty. The phased development will include waterside commercial and cultural projects and will cost in the region of €700 million. The consortium have agreed to provide a sustainable eco waterfront, expanding the current palm tree beach front promenade and provide private residential accommodation on the marina to suit the needs of the market.